Martin Muench develops spyware for computers and mobile phones. His programs include the digital memory and search in the Internet business of victims through a trojan horse called Finspy. Martin Muench – a German autodidact of 31 years old – is proud of his product he recently presented to German journalists, for the first time. He runs a company called Mushun, through which he owns 15% shares of Gamma International GmbH. He is the managing director of Gamma International GmbH. How does his spyware work? First, the user must select the operating system that he wants to attack. He can specify the number of servers through which the Trojan should channel, so that even people who are experts in computer cannot know who is watching them. He can then determine the strength of the Trojan horse and set if it can read what the user writes on his computer or on skype for example, save the data, view or store them before they are deleted or changed. For a smartphone, the trojan can even use the GPS location function as a transmitter. You should know that most of Finspy’s facilities are illegal in Germany. Even though its price is quite high (about € 150,000), it can climb up to one million Euros. Indeed, Gamma designs a customized version of the Trojan for each if its clients, as it should fit to the laws of the required country. “The objective is to tackle isolated offenders.” Martin Münch does not talk about “alleged offenders”, he chose the term “offender” and “offenders” as if they were synonymous of suspects or monitored individuals. The Bahrain government uses its software to monitor people who have criticized its regim. Alaa Shehabi is one of those individuals being spied. When the Arab Spring has swept the country two years ago, Alaa Shehabi joined thousands of others to ask for reforms. Then the king asked the Saudi army to help him. Photos and videos posted on the Internet showed the repression and violence against these opponents. The young woman met with reporters and talked about the police violence people have suffered, and the injuries and deaths. She thought she was prudent, checking if anyone was following her and turning off her phone during the interview. Yet, the police visited her shortly after this interview: they have not arrested her though, but she then received a first e-mail entitled “Torture report on Nabeel Rajab.” Attached photos were supposed to represent the abuse suffered by Nabeel Rajab who is a friend of Alaa and a regime opponent like her. Luckily she could not open the attached file as it was hidding a Trojan from the Gamma Group. The police state of Bahrain was targeting the young woman and used Martin Muench’s software to spy its opponents. Facing critics from some human rights organisations, the Gamma Group neither confirms nor invalidates anything, its activity operating under secrecy. But the company must deal with a formal complaint launched to the German Ministry of Economy by some members of Reporters Without Borders and human rights: they require tightened controls on recipients of Gamma products referring to the recommendations – albeit voluntary – from the Organisation for Economic Cooperation and Development (OECD). Martin Muench likes to remind its audience that the company complies with the German laws concerning exports, and that, even if the Finfish products are delivered from England. Britain and Germany are in fact subject to the same laws by the European Union on the export of surveillance technology. Under the terms of the text, surveillance technologies are not weapons, but materials that can be used for civilian or military purposes. Since the Arab Spring, the Gamma Group has indeed not a good reputation. However, Martin Muench has promised to bring some change with greater transparency and concrete actions. A representative of Human Rights should soon sit on Gamma Group board. And Martin Muench promises to set a code of conduct that will exclude export to countries that violate human rights. Gamma is also in contact with two human rights organizations which could cooperate as consultants on contested cases. To protect your Internet activity from malware, choose a VPN. The VPN technology allows you to create an encrypted tunnel to a host (or server) on the Internet. In this case, your site, your IP and other personal information will be hidden from others and your connection will be highly encrypted, whatever connection you use (via a public open Wi-Fi, internet cafe, etc… ). 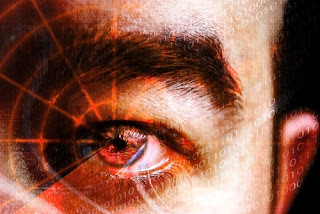 All data passing between you and the VPN server will be encrypted by a highly complex algorithm like AES-256, which allows your connection and your download activities not be exposed. Therefore, it is impossible for others to intercept your traffic and detect your Internet activity. Thanks to Le VPN, do not take risk and secure your connections from your various IT equipment (computer, phone, tablet).